CL_F Elliott Wave short-term view suggests that the decline to 61.80 on 4/06/2018 low ended Intermediate wave (2). 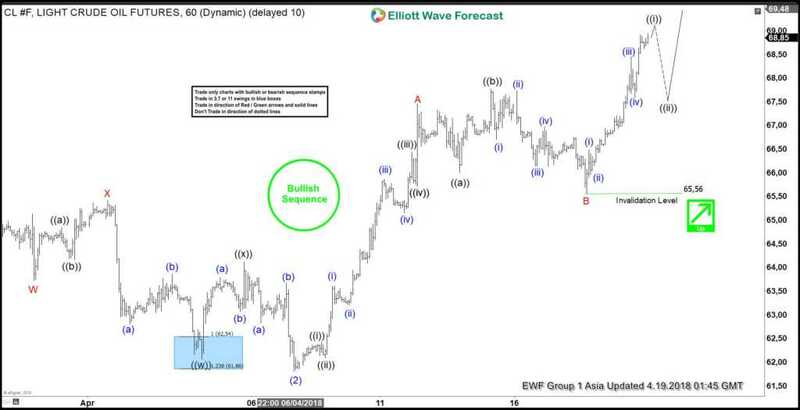 Above from there, Intermediate wave (3) remains in progress as Zigzag Elliott Wave structure. Looking to extend higher towards 70.43-72.47 area at a minimum. Up from 61.80 low, the instrument made a strong rally higher. And ended Minor wave A at 67.45 high in 5 waves structure. 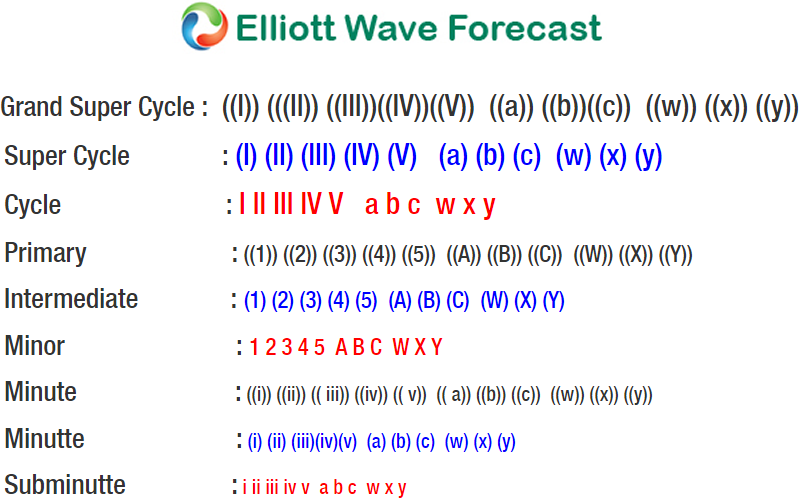 The internals of Minor wave A unfolded in 5 waves impulse Elliott Wave structure where Minute wave ((i)) at 62.43, Minute wave ((ii)) ended at 62.09. Minute wave ((iii)) ended at 66.44 and Minute wave ((iv)) ended at 65.71 low. And Minute wave ((v)) of A ended at 67.45. The instrument then made a 3 waves correction lower in Minor wave B pullback as a Flat. Down from 67.45, Minute wave ((a)) at 66 low, Minute wave ((b)) at 67.76 and Minute wave ((c)) of B ended at 65.56 low. Above from there, the instrument already broke to new highs confirming the next extension higher in Minor wave C of (3). Therefore looking for the extension higher towards 70.43-72.47 as noted above. Up from 65.56 low, the instrument is expected to end 5 waves in Minute wave ((i)) of C soon. And should see a pullback in Minute wave ((ii)) of C in 3, 7 or 11 swings before further upside is seen. We don’t like selling it.